Home /Digital Media Marketing » Is forming your own social media marketing team the answer? 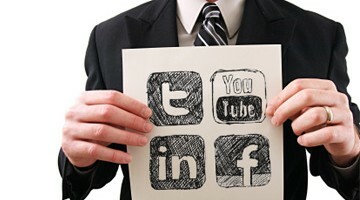 Is forming your own social media marketing team the answer? Creating a social media marketing team to manage your company’s online presence is the only way to ensure a dynamic, continuously evolving social media strategy. Few business owners can have time to do everything – from creating content calendars, sourcing pictures, writing blog posts and tweets – themselves, which is why you need a team of people to help you on your mission. When you set out to form a social media marketing team, you can either source people internally (from your existing team members) or you can outsource this job to a digital marketing agency. There are many benefits of getting your own people to do the job, such as fewer expenses, relevant industry news and more involvement from your staff. Sometimes, however, this just isn’t realistic seeing as many full-time employees either don’t have the time, social media experience or interest in these platforms. Outsourcing the job can also come with a range of challenges. You need to make sure you’re hiring a company who will not only act as if they are your company’s full-time journalists, but they need to stay on top of industry trends and make sure your company is commenting, posting and engaging in all the right places. If you decide to partner with a digital marketing company, make sure they have the man-power to ensure a fast response rate (especially if they’re going to be dealing with customer complaints in public spaces such as on Facebook and Twitter). You also need to make sure that they will be able to set clear, measurable goals and provide you with ongoing reports so that you can track the success of your social media campaigns. Outsourcing your social media marketing is easy if you know what you expect and set the right goals. For more information on outsourcing your social media marketing, contact WSI OMS today.